Danish window and door manufacturer Outrup has sealed an official sponsorship agreement for the Men’s EHF EURO 2014 event, which will be held from 12 to 26 January 2014 in the Danish cities of Aalborg, Aarhus, Herning and Copenhagen. With this commitment, the Danish window and door manufacturer becomes part of the official commercial programme for the European Handball Federation’s flagship national team event, in a deal brokered by its media and marketing partner Infront Sports & Media. 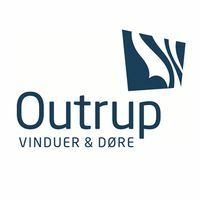 Outrup is a specialist in window and door manufacturing, based in Nykobing Mors, and is committing to top-level international handball for the first time. As an official sponsor of the EHF EURO, the brand will be present at all games of the 2014 championship, benefitting from prime advertising space in camera view on LED boards along the court and floor signage. In addition, the company’s logo will be integrated on backdrops as well as all official print and online publications. Outrup will also take advantage of promotional opportunities as well as use the official sponsor title and EHF EURO logo in its communication activities. A range of corporate hospitality tickets further complements the package. In addition, Outrup stands to benefit from the international reach of the EHF EURO, with television coverage and audience figures consistently on the rise over the past 18 years. In 2012, the Men’s EHF EURO held in Serbia gauged a total cumulative audience of 1.47 billion, transmitted by 75 licensed broadcasters in Europe and beyond.